It’s an open forum, put any automotive topic on the agenda. A free service to buy, swap and sell anything automotive. Or tell us what you’re looking for. If you recently attended an event, share your experience. Or ask for advice on which events to attend. Problems or solutions, the Shannons Club has thousands of enthusiasts who may have the answers. Restoring for the first time or an old hand at it, seek the answers or share your techniques. Do you know a great cleaning product or tip, or just want to know how to go about it. Got a tricky question? Post it here and use the wealth of knowledge and expertise of other Shannons Club members to help you out! It’s your Club, let us now what you like about it and what you think could be improved. Our products are made in the USA. It's user friendly and extremely easy to apply. 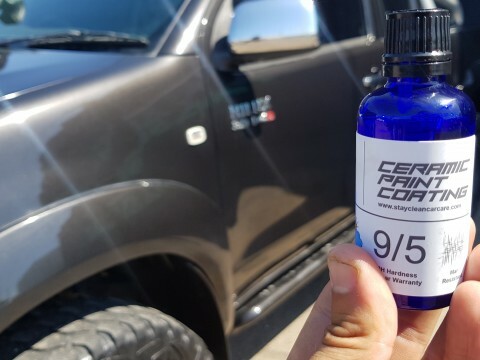 With 1 application it will make your car look extremely shiny and hydrophobic for the years to come. USE COUPON: 10OFF FOR 10 PERCENT OFF. ONLY VALID FOR A LIMITED TIME! Please login to comment on this Forum Topic.